Starting Just Dial with just Rs 50k, VSS Mani has built a business with an annual turnover of Rs 100 crore and a valuation in excess of Rs 500 crore. Just Dial is a case of getting it right the second time around. Not giving up after having to wind up Ask Me, VSS has taken his phone-based business model to print, online and SMS. He is now busy executing an international rollout. N.R. Narayana Murthy founded Infosys in 1981 and built it over three decades into a global software giant with 145,000 employees. Murthy, now chairman emeritus of Infosys, also serves on the boards of HSBC and the Ford Foundation. In a recent interview published in the ‘Cities of Opportunity’ report published by global consulting firm PricewaterhouseCoopers, Murthy discusses India’s urban challenges—and how to tackle them with the help of government reform, “huge foreign investment,” and entrepreneurial dynamism. What’s amazing is how Webb, a 37-year-old mother of two, has made a $20 million (sales) business out of nothing but hot air. Four years ago she was peddling her services from a 2001 Nissan Xterra, driving around L.A. “Between gas and babysitters, I doubt I ever broke even,” she recalls. Today, with 23 salons in six states (26 by year-end), Drybar is styling the hair of more than 50,000 women every month. At 40 bucks a pop–for just a blowout; no scissors, no dyes–it adds up. Drybar has the usual expenses of labor, real estate and utility bills. But each store nets 15% to 35%, says Michael Landau, who is CEO and Webb’s brother. Hair salons usually clear 11% or so. Within weeks they were overwhelmed, understaffed–and in danger of losing business. They’d planned on answering the phones at the receptionist desk like any other salon but wound up not being able to hear clients over the noise of the blow-dryers, resulting in dozens of missed appointments. Within weeks they switched to a VoIP phone system and hired a receptionist to take calls in her living room and then communicate with the salon over instant message–a process still in place today, although the call center now employs more than 50 customer-service reps. Thanks to a classy, simple website designed by Alli’s husband, Cameron, you can book and pay for a blowout online. Ah, yes, the choreography (in fact, more like a square dance than Alvin Ailey). It begins with a consultation at the “bar,” where a stylist asks you which of five looks–all coyly named after girlie drinks–you want. Then you’re escorted to a quiet washroom in the rear where your hair gets washed and wrapped in a bun. Would you like a drink (water, coffee, champagne)? Any allergies to hair products? Then to work, starting with the front, blow-drying into curls and pinning them to the top of your head, sectioning your hair and pulling it in front of your shoulders to make finishing touches in precisely the same way. Right before you’re done, out come the pins–”Are you ready?”–and you’re spun around. A little readjustment, followed by extra spray. “Doesn’t she look great/fabulous/so good?” your stylist addresses her peers. All stylists–there are now 1,000–undergo a week of training at the hands of ten master coif-feuses. That cadre endures a month of tough drilling with Webb, learning her techniques and sensibilities, as well as how to teach her method to new hires. That’s where Drybar may have an edge. Aside from being first, Webb has been fast. Same-store sales will jump 30% this year over last. While not all stores are profitable yet (and the company as a whole still loses money), Landau insists most earn back the $500,000 investment within 12 months. A $16 million cushion from Castanea Partners in Boston will help finance growth. Next year Drybar plans to open 17 new locations for a total of 43. Landau scoffs at the competition: “A Starbucks is still a Starbucks, no matter how many other coffee shops open on the block.” Turning Drybar into a comparable brand will take all of his highly caffeinated marketing magic and then some. Matthew Miller, Forbes Associate Editor announced that billionaire history had been made when he stated, “He is the youngest billionaire in the world right now and we also believe he is the youngest self-made billionaire in history.” Mark Zuckerberg is even hanging around the likes of Oprah Winfrey who has $1.5 billion network. Although Winfrey is ranking above Zuckerberg they are both stated to be worth $1.5 billion. One question that has been raised was how Mark Zuckerberg’s net worth was calculated. Some argue that Mr. Zuckerberg is much richer than $1.5 billion when taking into account the $240 million dollar Microsoft invested in Facebook for a 1.6 percent stake in Facebook in 2007. With Microsoft’s investment it places Facebook at market valuation of $15 billion. Mark Zuckerberg holds a 30% stake in the company which would have placed him with $5 billion in net worth. The Forbes magazine made a statement about how they came up with the valuation when they said, “Would it really fetch that much today? Some analysts — and a few Facebook investors — doubt it.” The Facebook valuation is said to be stated on the estimated annual sales of $150 million dollars. The annual sales were mainly in advertisement revenue deals with Microsoft. Mark Zuckerberg founded Facebook in February 2004 from his Harvard dorm room. After dropping out of school and moving to Silicon Valley Facebook found venture capitalists ready to made their stake in the fast growing social network. Now Mr. Zuckerberg can have his bragging rights, he is the youngest self-made billionaire in history. Born In A Small Village In Punjab At The Turn Of The Century, Rai Bahadur Mohan Singh Oberoi Began His Career In The Hotel Industry On A Fifty-Rupee-A-Month Wage At Simla’S Cecil Hotel. But He Was Not Destined To Remain In His Lowly Position For Long. With A Combination Of Clear-Sighted Thinking, Frugality And Sheer Hard Work, He Managed To Put Together A Plan And The Finances Necessary To Acquire His First Hotel: Clarkes. That Was Only The Beginning . . . Decades Later, The Oberoi Group Has Twenty-Eight Hotels And Four Luxury Nile Cruisers, Girdles The Globe, And Is Acknowledged As A Standard-Setter. Mohan Singh Oberoi, who as a penniless hotel clerk in Simla, India, mortgaged his wife’s jewelry to buy the first hotel in an international luxury chain that bears his name, died yesterday at his home near New Delhi. He was 103, although for years he had said he was born in 1900 because he did not want to be seen as dating from the 19th century. He helped bring the Indian hotel industry into the 20th century, though he scandalized India when he first introduced chambermaids into the land of bearers, sweepers and stewards without number. Often called the Conrad Hilton of India, Mr. Oberoi specialized in spotting and refurbishing run-down and undervalued properties. With about 35 luxury hotels in India, Sri Lanka, Nepal, Egypt, Australia and Hungary, the Oberoi group became India’s second-largest hotel company, after the Taj group, which belongs to the Tata conglomerate. At the age of 21 he took over the family business — Western India Vegetable Product Company — when his father, M H Premji, suddenly passed away in 1966. The Western India Vegetable Product later became Wipro Products Ltd, Wipro Technologies and Wipro Corporation. In the 1980s Wipro entered the IT field, taking advantage of the expulsion of IBM from the Indian market in 1975. Premji is known for his modesty and frugality in spite of his wealth. He drives a Toyota Corolla, flies economy class prefers to stay in company guest houses. Premji has been recognised by Business Week as one of the greatest entrepreneurs globally. In 2009, he was awarded an honorary doctorate from Wesleyan University in Middletown, Connecticut, for his outstanding philanthropic work. Dhirubhai Ambani founded Reliance as a textile company and led its evolution as a global leader in the materials and energy value chain businesses. He is credited to have brought about the equity cult in India in the late seventies and is regarded as an icon for enterprise in India. He epitomized the spirit ‘dare to dream and learn to excel’. The Reliance Group is a living testimony to his indomitable will, single-minded dedication and an unrelenting commitment to his goals. 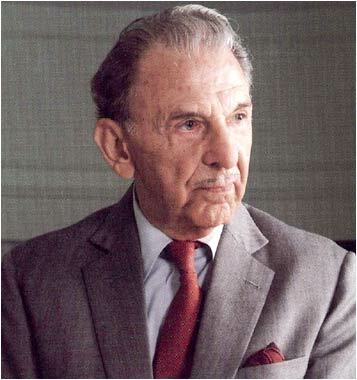 Jehangir Ratanji Dadabhoy Tata (29 July 1904 – 29 November 1993) was a French-born Indian aviator and businessman who became India’s first licensed pilot. In 1954, he was awarded the French Legion of Honour and, in 1992, India’s highest civilian award, the Bharat Ratna. Tim Berners-Lee kick-started the World Wide Web in 1989, designing and building the first Web browser, editor and server. The widely adopted technologies transformed the way information is created, consumed and circulated.